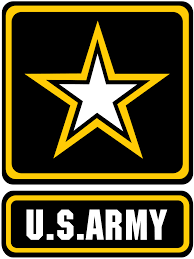 In the U.S. Army and all other branches of the military, a move is known as a Permanent Change of Station (PCS). A do-it-yourself (DITY) move is one of your options if you are transferring from one Army base within the lower 48 states to another, known as contiguous United States moves (CONUS). A DITY move is another name for a personally procured move (PPM). You may choose a DITY move because of the opportunity to keep for yourself part of the money allotted for your relocation. Some members of the Army choose a DITY move because they own fragile items they prefer not to entrust to a government move, in which there’s no control. During peak seasons of military transfers, it’s not unusual for a DITY move to be the only option, unless you’re willing to wait possibly for weeks before receiving your belongings at the new location. To pull off a DITY move, there are forms to fill out, moving plans to schedule, receipts to keep, and final papers to file. The Defense Finance and Accounting Service (DFAS) processes Military PCS vouchers only for Army Military Members. You can apply to receive advance money to cover costs involved with the PPM. Advances are paid via Electronic Fund Transfer. Note: Failure to annotate an advance payment in block 9 on form DD1351-2 may result in government debt and possible payroll deductions. Direct your PCS entitlement questions to your local Defense Military Pay Office (DMPO), such as which receipts you are required to keep and which forms you must fill out. DFAS has provided detailed information online to give you step-by-step assistance in filling out the all-important DD Form 1351-2 travel voucher plus much more. • Rent a container or a truck, such as Penske Truck Rental, and hire Simple Moving Labor to load and unload your belongings. By doing the packing and driving yourself, you cut the cost of moving. One of the requirements for reimbursement of your DITY move is to have certified weight tickets as part of your documentation. If you are renting a truck, this step is up to you. Find a location with certified scales and get one certified weight ticket of the empty truck and another with the loaded truck. If Simple Moving Labor handles your full-service move, we will coordinate with a military moving specialist to ensure you have the correct certified weight tickets. The Army has provided an abundance of information to help ensure that you know all of the documentation necessary to have the cost of your PCS move covered. Find links associated with PCS Entitlements for Active Military Service Members, including Personally Procured Moves, here. See your Transportation Office (TO) for assistance. One of the most vital components of a successful move is the moving company you work with. Contact us at Simple Moving Labor, a nationwide leader in providing quality moving services. Our goal is to simplify your PCS move and make it a great experience.